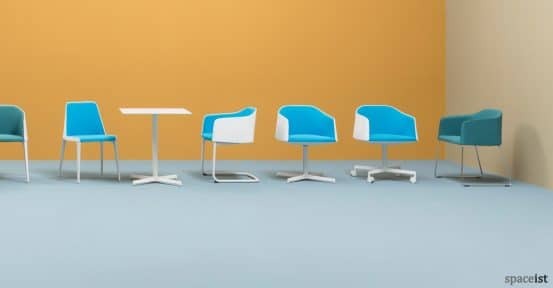 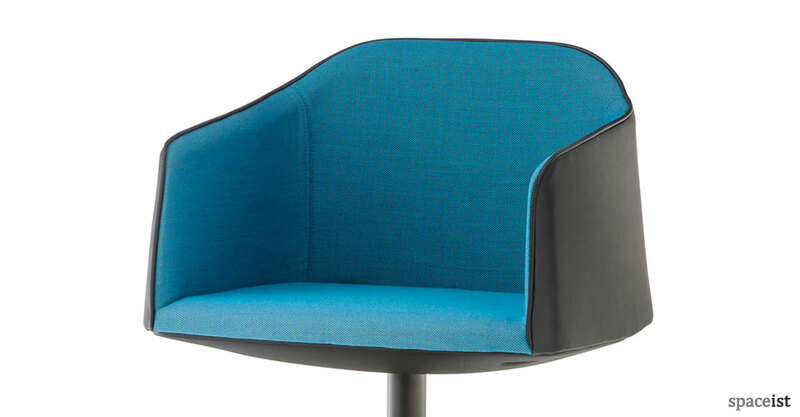 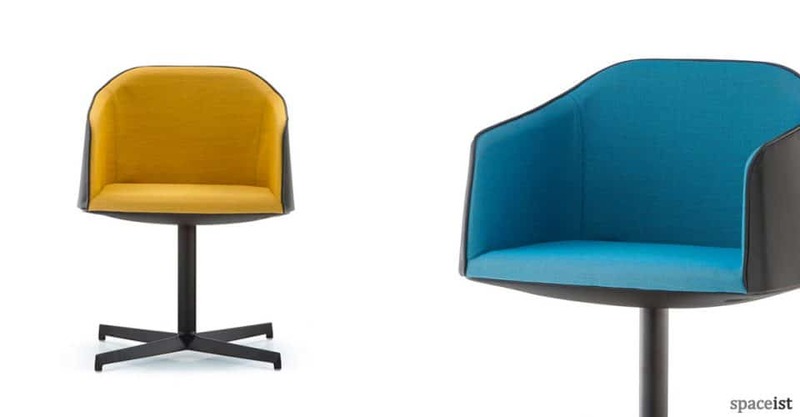 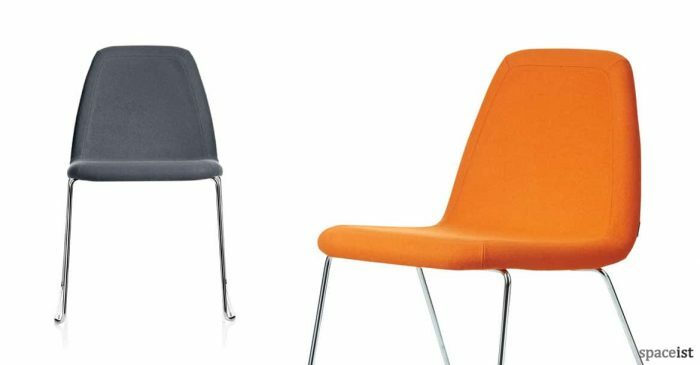 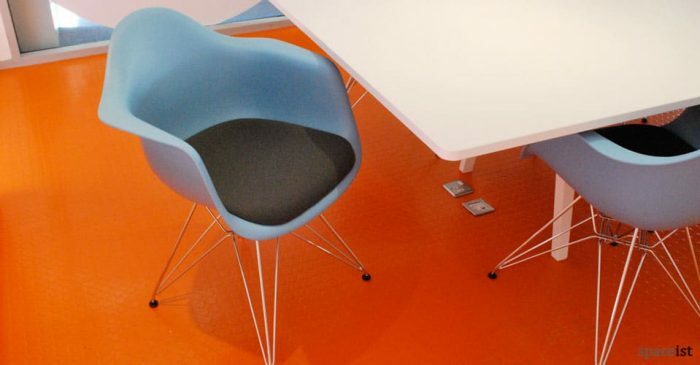 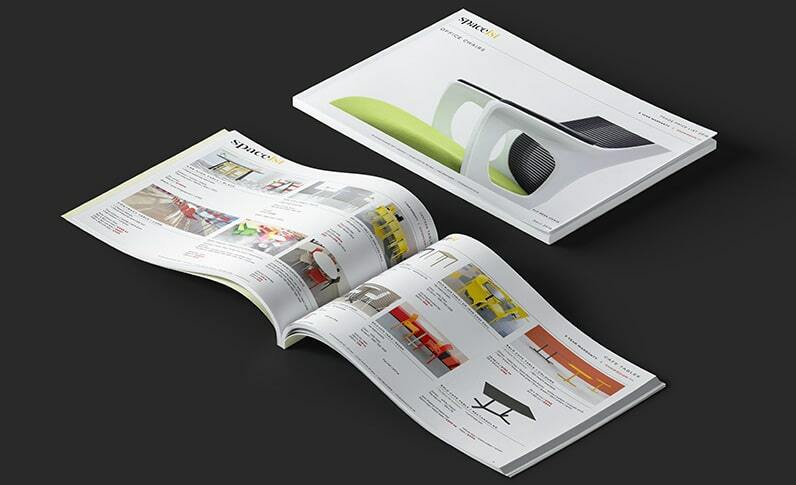 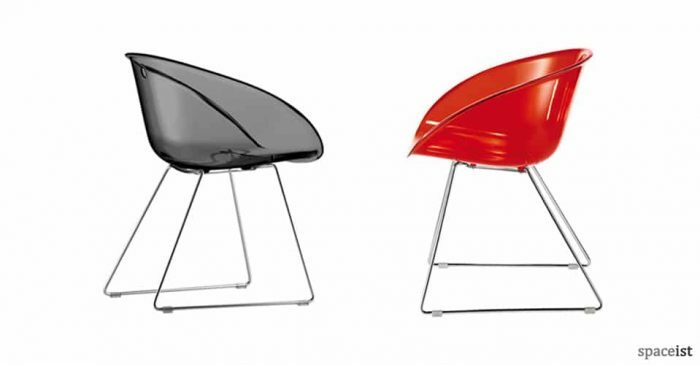 Categories: Colourful meeting chairs, Meeting chairs, Meeting Furniture. 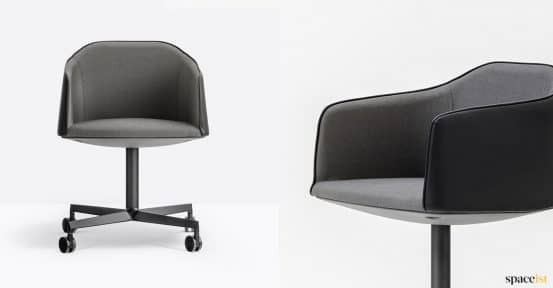 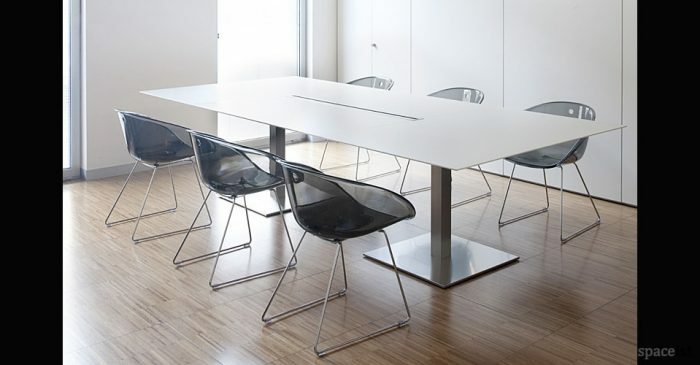 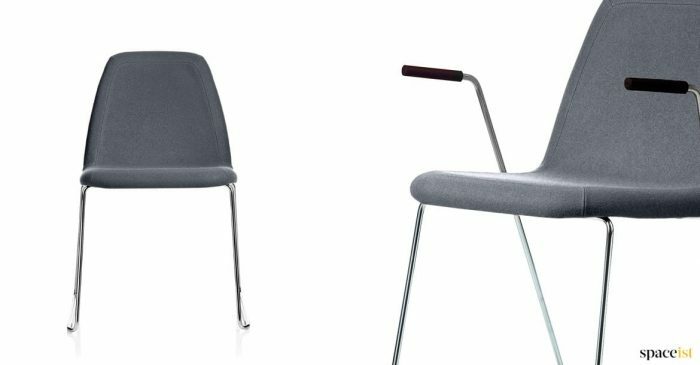 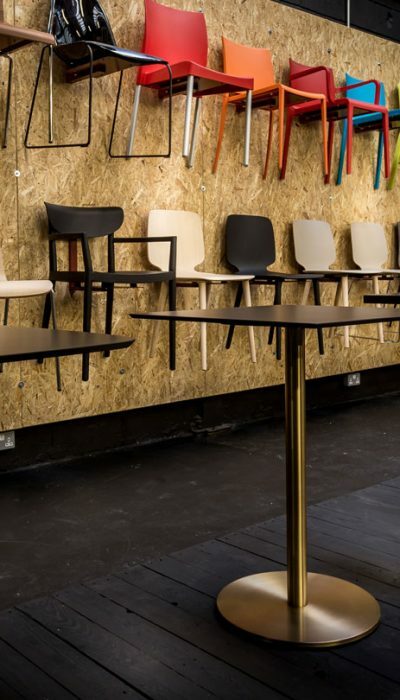 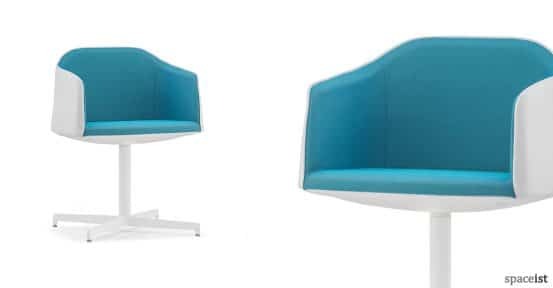 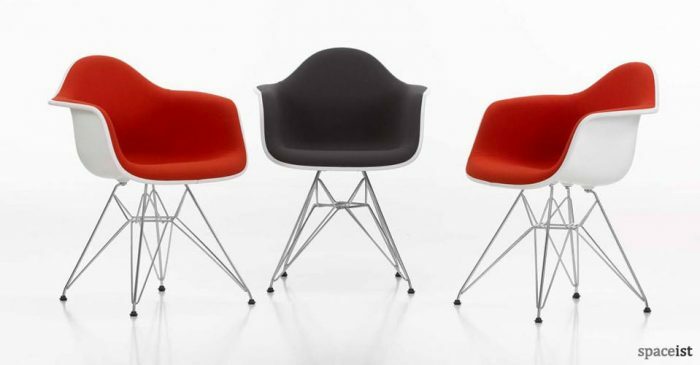 Designer meeting room chair with a central star base in white or black powder coated steel. 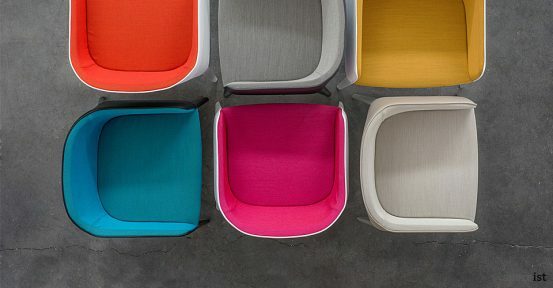 The seat can be covered in fabric, faux leather and leather and all are available in various colours including the ones shown. 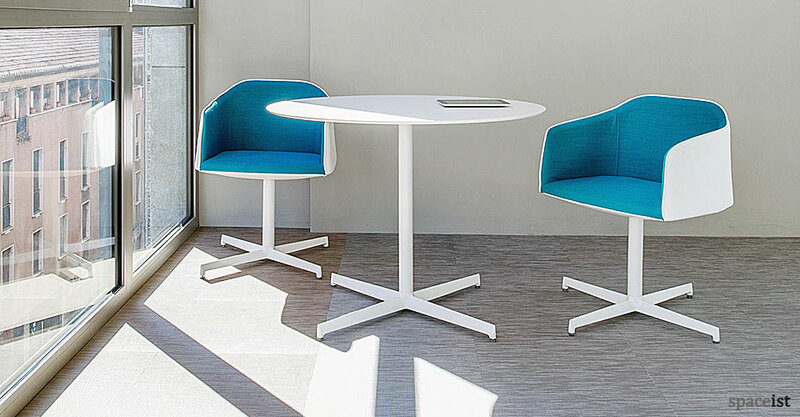 Base options include 4-leg, sled and cantilever styles.